Blockchain has been one of the most awe-inspiring innovations since the Internet came into existence. Blockchain, also known as “Distributed ledger technology”, is a database protocol developed to underpin bitcoin. Rather than having a central record keeping system, identical records are spread across everyone connected to a network. They are all updated simultaneously and transactions only go through when enough parties on the network sign off on them. This technology eliminates the need for costly middle men in financial transactions, but also presents plenty of other opportunities for new ways of record keeping and decentralizing markets. State Government of Rajasthan (SGOR) has explored opportunities to leverage the usage of digital token and cutting edge technology such as Blockchain and Mobile Technology to manage distribution of benefit programs to its residents. 2) To offer a payment solution for the recipients of the subsidies/benefits to make various kinds of payments for the services and goods. FSPL has provided Blockchain / Mobile Wallet technology services and solutions, while covering the required functionalities desired by SGOR, including support for various mobile platforms, payment types and associated back end functionality. Technology​ and Operational Infrastructure already tested in the market by FSPL. Lower​ Total Cost of Ownership. Hybrid solution has been proposed which combines the best of both block chain and traditional tech systems. FSPL has a team of developers specialized in traditional and block chain technology. FSPL has a team of business analysts who are specialists in the payments domain. Experience in implementing similar projects for domestic and international clients. As a public ledger system, block chain records and validate each and every transaction made, which makes it secure and reliable. With adoption of Blockchain technology, it is expected that energy distribution will become efficient and automated in real time manner after elimination of numerous authorization process and documentation submission. Users will get real time insight on overall scheme. Using a BlockChain-based system, patients can authorize new members of their private, secure their EHR community, approve changes, and govern sharing between their disparate providers. Providers can add a new record associated with a particular patient, and patients can authorize sharing of records between providers. In both cases, the party receiving new information receives an automated notification and can verify the proposed record before accepting or rejecting the data. This keeps participants informed and engaged in the evolution of their records. Smart Contracts are self-executing contractual states, stored on BlockChain, which nobody controls and therefore everyone can trust. Blockchain contracts act as agreements where terms of agreement can be pre-programmed with the ability to self-execute itself. The main goal of a smart contract is to enable two anonymous parties to trade and do business with each other, without the need for a middleman. The required ‘proof of working’ as an insurance claim is passed through departments, is highly visual and easier to monitor via a BlockChain, reducing time that lapses between point of claim and resolution. Documentation is logged and shared via the chain; rather than reams of paper. Human intervention is nullified using Blockchain process, as it offers an automated and streamlined service that can be facilitated without the need of manual interaction. 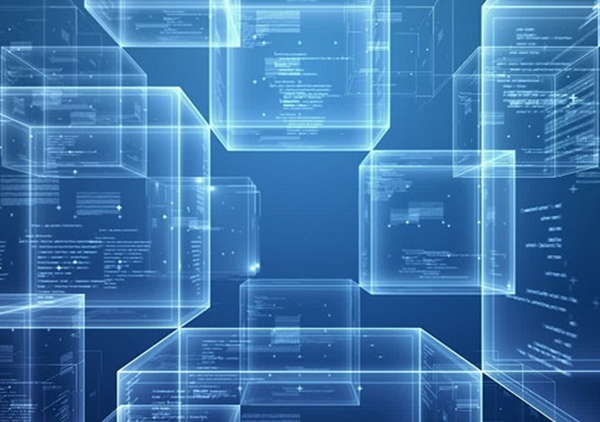 Government organizations across the globe are exploring the use of BlockChain technology to improve operations. The ability to record transactions on distributed ledgers offers new approaches for governments to improve transparency, prevent fraud and establish trust. E-Government systems are enabled by a chip-embedded ID card that gives the nation’s citizens access to over 1,000 e-government services, such as filing taxes and voting, almost instantly and via just one website. The great value of such decentralized lending is that with a single request, lenders are able to validate transactions, verify the legitimacy of counterparties, and perform routine account administration tasks almost momentarily, reducing costs and accelerating the process. Blockchain lending essentially builds on the timeless peer-to-peer model, making the entire process more seamless and reducing the amount of time , it usually takes. Since all transactions are open and auditable, every address can be assigned a credit rating, almost trivially. Smart transportation is about maximizing already-existing infrastructure and resources rather than adding new ones. Real-time ridesharing is the key, enabling people with their private cars to share their journey with others traveling in the same direction. What BlockChain adds on top of this is the possibility to put together users without any middlemen thanks to decentralized platforms.